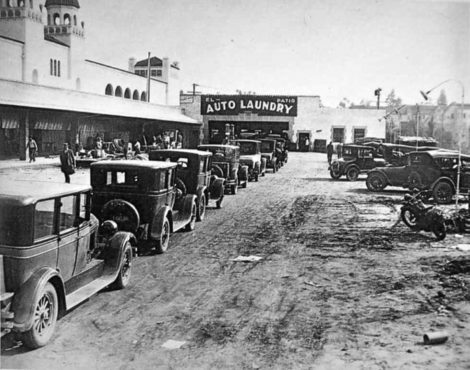 1914 saw the first payed service of a car wash open in Michigan, US. 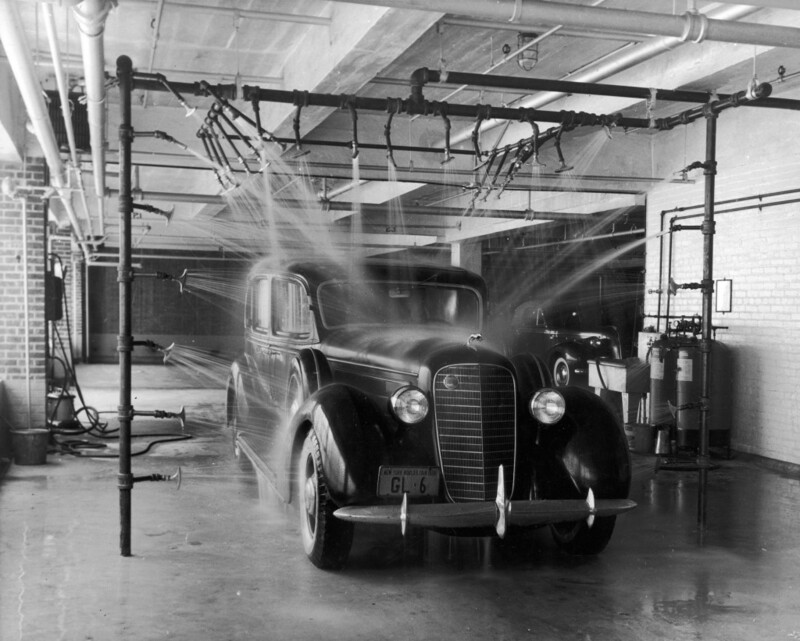 These were tough times for car washers – each car was pushed manually through garages, where workers hand washed the exterior and polished brass components. The concept was simple, but proved to be particularly popular among wealthy residents, and in the next twenty years similar washes began to open. Automatic and semi-automatic tunnel washes began operating in Europe as early as the 1930s as the old fashioned method got tiresome. This decade saw rise of automatic systems featuring soap sprayers, automatic brushes, and a 50-horsepower blower. The 1950’s were an exciting time in the carwash industry. Not only were entrepreneurs in the US such as Dan Hanna building car wash empires, technology was also advancing at a fast pace. Due to the number of different car wash franchises growing just as fast, a group of car wash industry leaders came together to form the Automatic Car Wash Association, now known as the International Carwash Association (ICA). The early 1960’s saw the first fully mechanised car-washing systems, these were starting to look little more like what you would see in a car wash today. The more eco-friendly water reclamation and recirculation begun being used, along with soft cloth friction cleaning (instead of harsh, abrasive brushes), conveyors, rollers, and more began to appear on the scene along with touchless automatic washes. At this point carwashes were a particularly prominent industry worldwide, with carwashes being installed in countries including Japan. There was slump in the 70’s and somewhat of the 80’s, due to a global downturn, falling car sales, and high fuel costs. 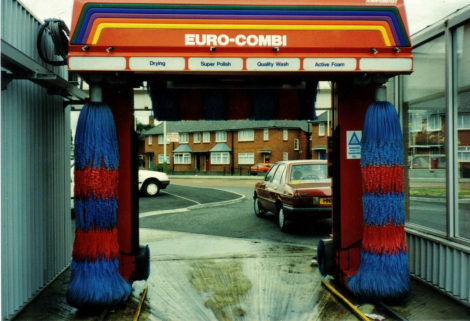 Although a burst of innovation by the industry in the 1990’s saw new technology that made the car wash equipment we know today. Now car washes are a routine part of life for many motorists. 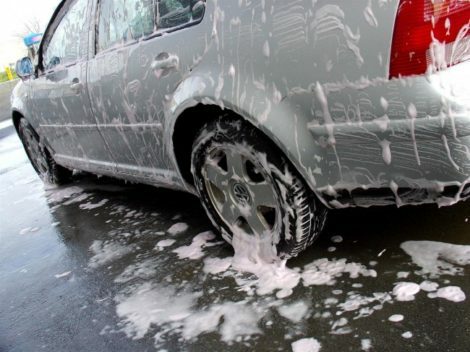 According to the ICA there are around 22 000 car washes worldwide employing about 500 000 people. Here at Luxe Wash we use the rich history of car washes to ensure we can provide the most satisfying clean for our customers. Our car washing options include an Automatic Touch Free Car Wash and five Manual Car Wash Bays. The Automatic Touch Free Car wash service means you don’t have to leave the comfort of your car while it gets a thorough clean and dry, all in under 10 minutes. The Manual car wash bays are for those who would prefer washing their own vehicle. We have 5 bays, which give you the equipment to soap, brush and spray the exterior of your car, getting it looking squeaky-clean.